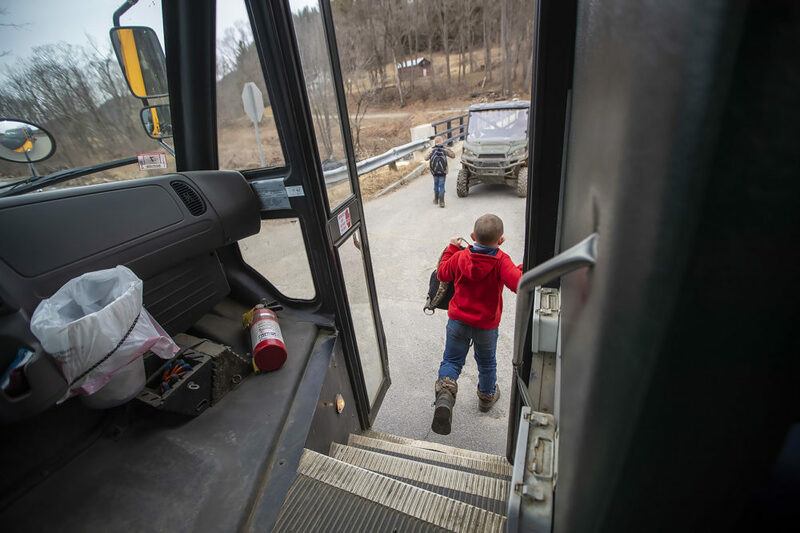 It's hard for rural schools in Massachusetts to get kids to and from class every day — especially now, in muddy season, when the snow has melted and the rain begins. 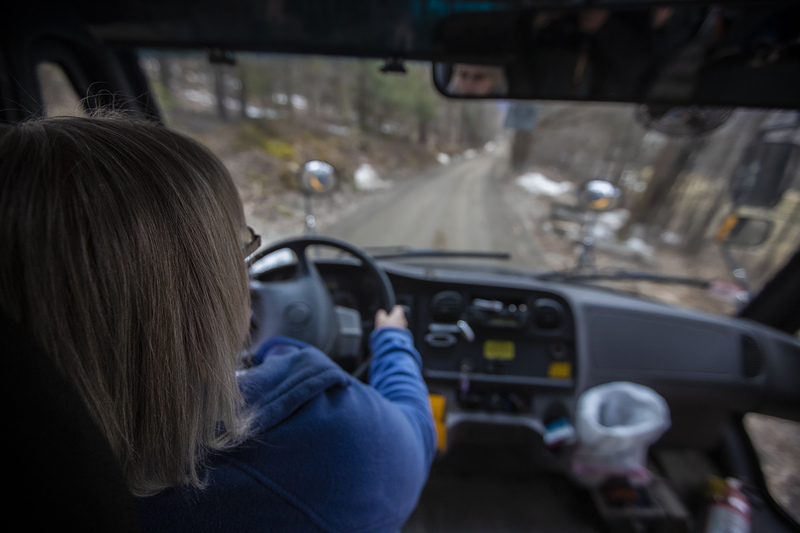 "This is mud and ruts and a mess," says bus driver Joanne Deady as she points to the narrow, unpaved road on her route from Colrain Central School in northwestern Massachusetts. It’s just after the school day and she's about halfway through her route. Standing between her and the next drop-off is a big patch of what she calls “greasy mud” — the kind her bus can easily get stuck in if it's deep enough. "We’ve got a steep drop-off with leaves, dirt and trees," she says with a firm grip on the wheel. Deady also has to contend with what feels like a minefield of potholes. That slows her pace down to about 15 miles an hour. Any faster, she says, would feel like she was trying to "shake the bus apart." During the winter months, it's snow and ice that make this route treacherous. "Two times I’ve had to bring a bucket of salt down so we can salt under the wheels to try to get it running," he explains. 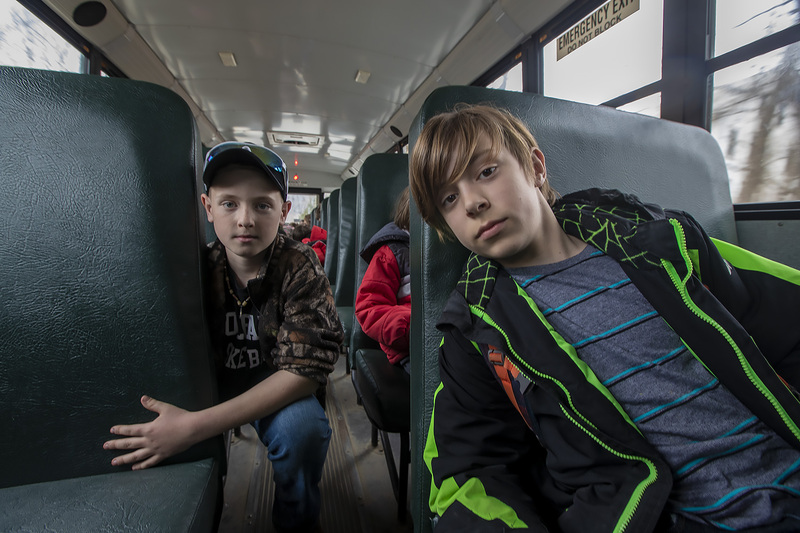 "Transportation here is a whole different animal," says Michael Buoniconti, the superintendent of the Mohawk Trail Regional School District. 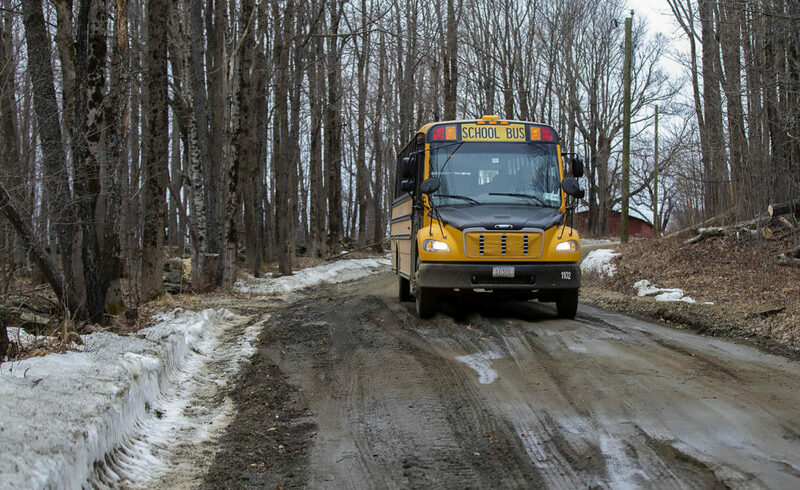 Muddy roads are one of many issues that school leaders face when trying to get their students to and from class in this district's rugged terrain, which spans more than 250 square miles. "We’ve talked to parents," Pease says. "We’re trying to give them alternative bus stops to go to so we don’t have to add another bus." All of those extra costs add up to a hefty bill. For Buoniconti's district it’s about $1,000 per student each year. That's more than double the statewide average. "It’s a major issue in our annual budgeting process," he says. "It impacts how many teachers we can hire and how many textbooks we can buy," Buoniconti explains. To make each dollar go further, Buoniconti has teamed up with other rural school systems. They're working out a way to share services like bus coordination. They also plan to buy supplies together to create economies of scale. Rural school officials are also looking to the political world for solutions. They're asking lawmakers this session for more state funding. One proposal on the table is to increase a rural school aid line item from $1.5 million to $9 million. The Massachusetts Rural Schools Coalition is also pushing to have a "rurality factor" added to the state school funding formula. If approved, schools serving a population that makes less than 115 percent of the state's mean per capita income and includes less than 40 students per square mile would qualify for an additional $400 per student. Gov. Charlie Baker's administration says it's considering the proposals. "We will look at any bill makes its way through the Legislature," says Education Secretary Jim Peyser. "Our proposal is to form a [rural schools] commission and take these issues under advisement over the course of the next year." 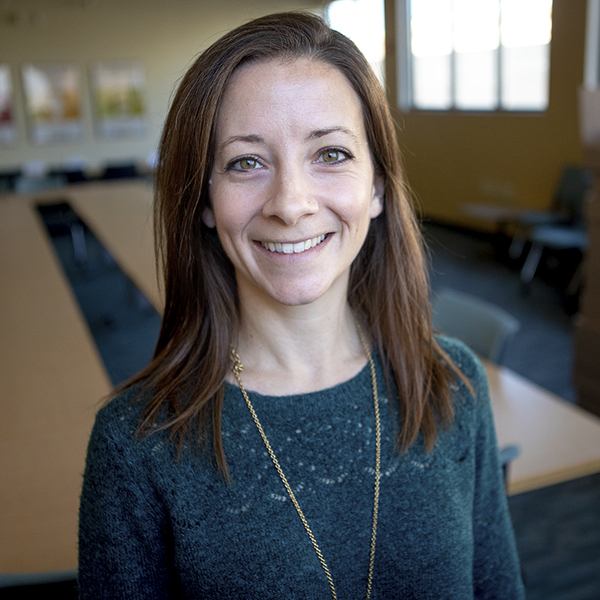 Carrie is a senior education reporter with Edify.